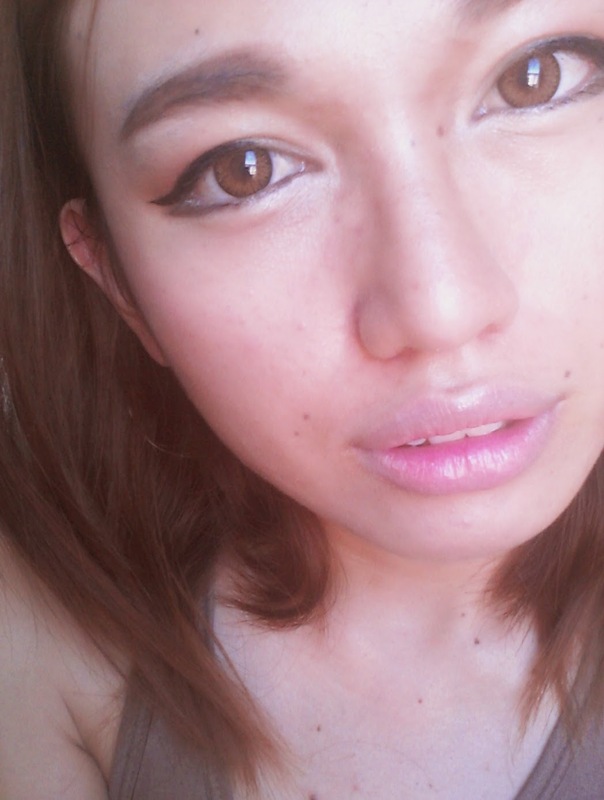 lately i've been watching many makeup tutorial on youtube. i even subscribed few of my favourite makeup and beauty channel. 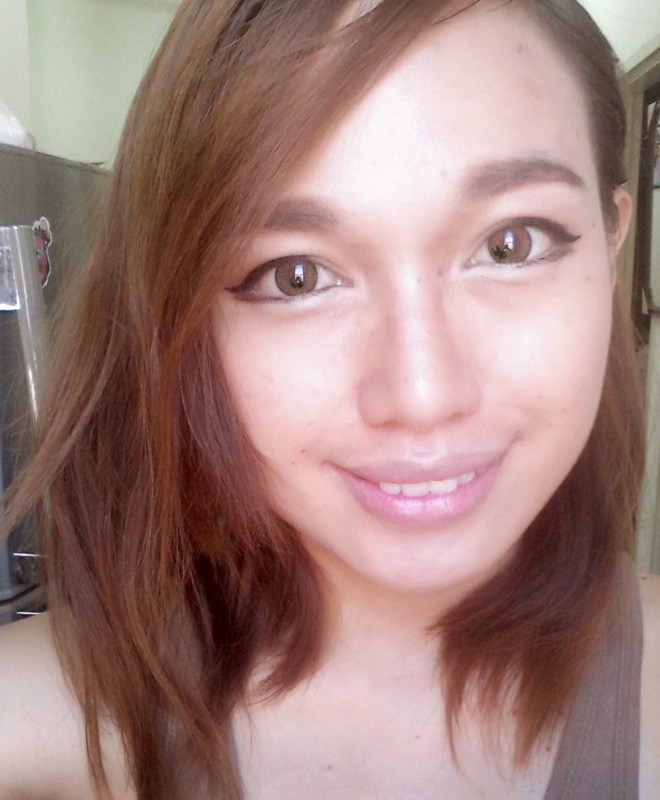 i don't wear much makeup except if i am going out with friends or dating (i love going to work with my barefcae!) but recently i am so into makeup and beauty probably because i just received a few uncomfortable comment about my makeup style from someone. it was just an honest comment but i find myself obsessing about makeup recently, so i guess it does got me huh. so, today id my off day. yippy!!! so i decided to operate my face with my makeup tools. *don't be surprise ya, i have makeup box! i bought it in 2012 and filled it with all the makeup tools but i never used some of them. so, here's my before operation face. i didn't have a nice camera to take my picture. guna camera hp saya. people love korean makeup because their makeup style more to youth makeup. they like showing of their eye bag because eye bag makes them look young. i used to hate my eyebag because it's too big when i was 14 years old! now some people go under the knife just to have those. advice from me, be careful on your straight+think eyebrow. you might don't want to overdo it because it can ruin your look if you do small mistake. and yess, i made my own eyebag. put some eyeshodow to make it visible since i don't really have them nowadays. the purpose of this look is too look innocence and still vogue konon la. sorry, my camera are not so good. tiada pencahayaan yang bagus. 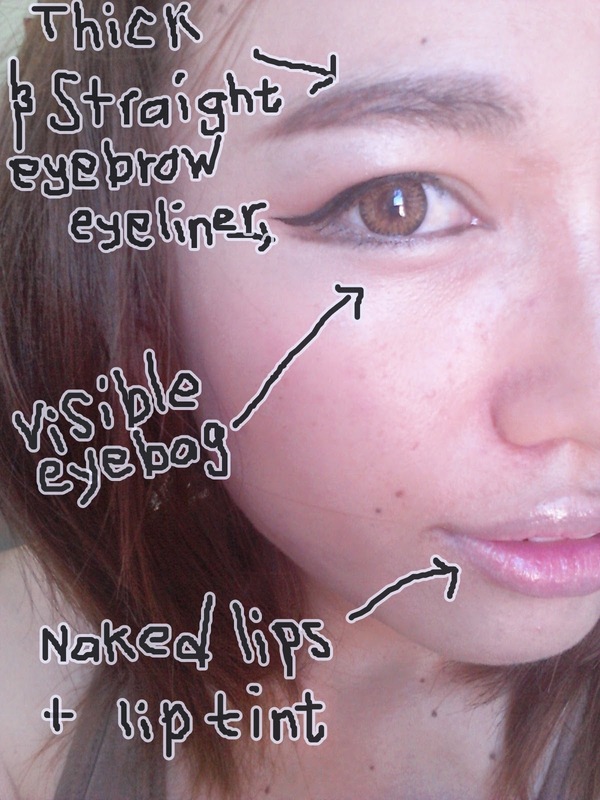 oh and my insiration for the look is from one of my favourite channel on youtube by nicole changmin. of course mine is not as good as her. it's actually good to learn about beauty and makeup. it's the art of beauty. maybe after this i'll try putting some makeup on my face to works and surprise my workmate! ya..i love michelle phan too! sangat beauty talaga. hehe. ya.. we shouldnt apply too much nnti biasa pki,trus xmau kluar ruma if no makeup. mcm sy ni p kerja lengang kangkung and i can save some time too. hahaha..
Well, i am not a big fan of make-up too. Lol, but then IDK what hit me but it was all begun when I hit Sephora somewhere last year and I bumped with a Sabahan who help to transform my look. Well, makeup do wonders. The best part is, I always I have this small small pimples that look like a rashes and this good person only recommended me a foundation and powder which match my skin tone because I always choose the wrong powder and end up like a chinese opera. A week after that I noticed my skin are much better then i hit the Sephora again. This time he recommend me NAKED and some lipsticks and it was really a wow. I really love how he transformed my looks. Then since then, I hit Sephora just to get a brand new hits makeup on the market and also to learn some new skills on how to make up just nicely. Well, since I am on holiday now- I do not have the chance to put on much make up except if I am going for an interview. P/S, you look like a doll from yr last photo. hah! i think in woman's life there gonna be a stage where all of us finally realize the important of making our apperence better and makeup is part of it. 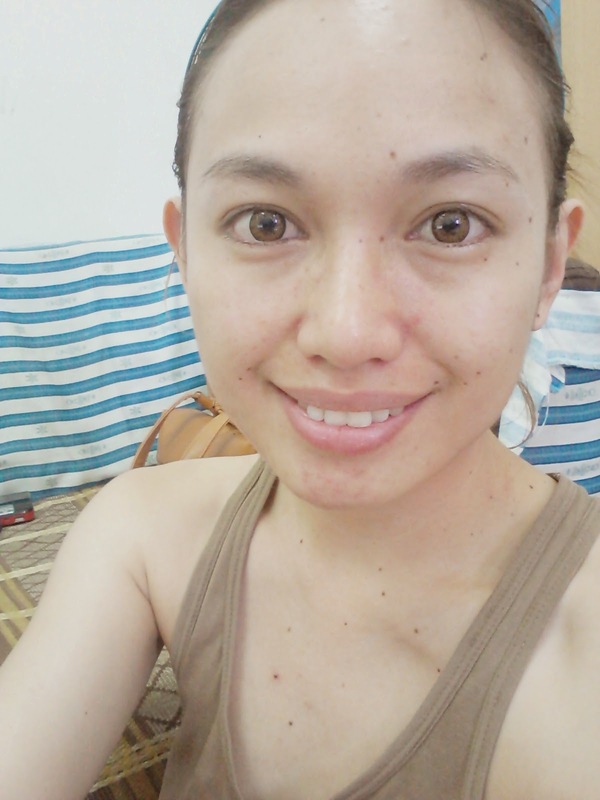 lately i feel more eager to get rid of my pimples and have nice skin and also pampers myself with makeup and beauty.product!. Yeah, I have the obsession of having a crystal clear skin sampai kena tipu. Tere juga ko makeup a. And siok tinguk gambar-gambar di blog ko. High quality kan hehe. Malas sia tinguk gambar kici and blur ba haha. tapi cantik tu mata ko punya shadow. Banyak urang cuba buat tu tapi nda ngam. Mata ko ngam ni. Uisheh, jan kembang. You are SOOOOOOOOO beautiful, with or without makeup!!!!!!!!!....... Way more beautiful and natural-looking than Nicole Chang-min!!! I am Singaporean, like her, and very few girls here are naturally blessed with such good features as yours... Just curious: are you mixed-race...? I think your makeup skills are really good, and with such beautiful features as yours, I think it would be a waste not to experiment more, try more different styles of makeup.....after all, you're only young once! :-) Maybe you should try a Brigitte Bardot or Lana del Rey makeup look next, because that suits most women, but would look especially gorgeous with your full lips! !